Backstory - Hange and Levi are colleagues and friends at the Stohess Art and Design School. 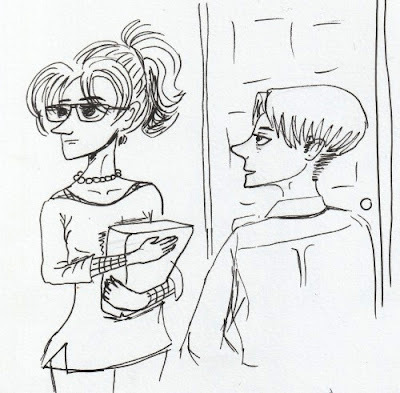 Levi’s a professor of fashion and grooming while Hange’s a History of Art professor. This happened on a Thursday before the semester ended. It’s pre relationship. Is it possible for a relationship to begin based on gossip. Do two people who appear to be have complementary traits have a chance of pursuing a romantic relationship? 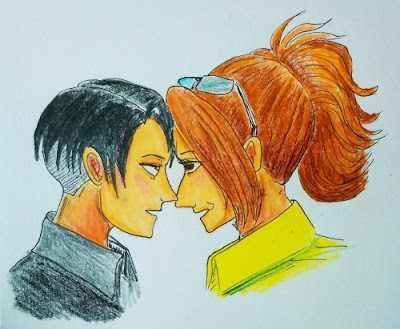 Hange hypothesised that it was possible even if the other person, whom her colleagues have been trying to matchmake with her was neat-freak Levi. A definite contrast to Hange’s, systematic-disorganized personality. Right now Hange was eavesdropping a pair of assistant lecturers named Sasha and Connie, who were saying that it would be a match made in heaven, as Hange will benefit from having someone who could help make her life more organised. Hange frowned at that accusation, she knew that most people that her office looked like a hurricane just flew past, but these brats barely knew her. She does not need someone to manage her life, maybe as a romantic partner but not as a life coach or something, so seriously their comments were unjustified. With anger simmering, she tiptoed towards them wanting to correct them. She was about to come out of her hiding place to confront the two when Levi walked past her and pulled her aside by her hair. He tugged quickly but gently startling Hange who almost gasped out loud. “Are you eavesdropping on them?” he asked. They have known each other for ten years since they started as assistant lecturers and now full lecturers. Levi always knew when Hange was being a busybody. Levi let go of her hair majestic hair ponytail and signalled her to follow him to his office. When he passed her, Hange caught a whiff of Levi’s perfume and her heart melted. He smelled good but suddenly she felt awkward doing that. Especially after hearing about the gossip. 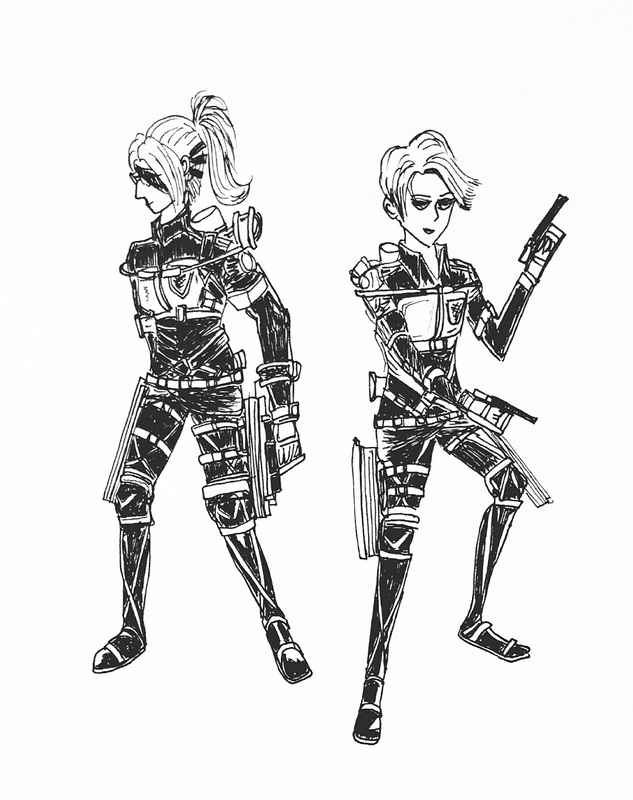 They walked past Connie and Sasha who asked them about the weather, “Going out to celebrate the end of semester senpai? Connie here is treating me to Italian tonight.“ Sasha greeted them while grinning sheepishly. 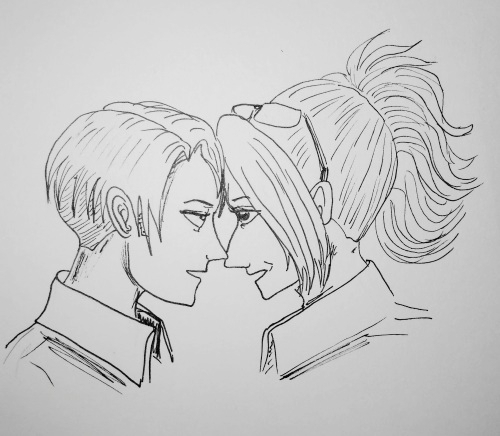 Hange winked at the assistants as she followed Levi. When they reached Levi’s door she saw that the door was locked. Levi reached into his bag for his keys. Meanwhile, Hange looked into the distance, to the corridor where Sasha and Connie was. She repeated the gossip in her mind, but… there was no way Levi and her could ever be more than what they are now, friends, colleagues, teammates. Levi eyed Hange with a questioning gaze as he slotted his key into the door. He was sure she was overthinking as usual over some stupid gossip the assistants talked about. As he opened his office door, Hange turned to him. Her eyes were looking dull and tired. It took Levi a second to realize why Moblit would be doing Hange’s hair. Moblit Berner who was Hange’s former assistant quit last year after heart surgery and became a hairdresser at his own salon. While digesting that fact, Levi went straight into his office and left Hange outside. 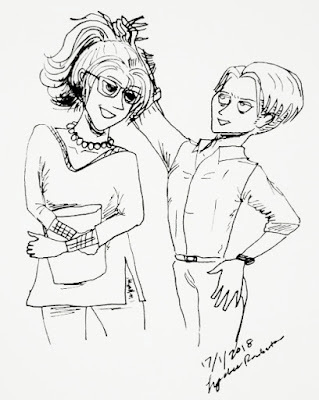 As for Hange, she watched Levi enter his office and wondered if she should just join him and make up some excuse about not wanting to wash her hair since he said it wasn’t that greasy. But her emotional side told her that she better get home and rest, and maybe sleep on her thoughts. So she followed her thoughts and turned away towards her car, thinking of home. Meanwhile Levi reached his desk and turned around to see Hange not following him into his office. She has been acting weird lately. Weird as in not being literally in his personal space after classes. Or during weekends when they need to do some extra work around the faculty, she didn’t linger around like she used to. But Levi didn’t dwell long on it, knowing that Hange would soon get the hang of her dilemma or problems, whatever that made her like that. She was always logical, and he counted on that side of her to bounce back to a more positive note. He hoped that she should be acting like her regular self soon. Levi sat down and opened his study planner, he should be thinking about his next semester’s study plans but instead he was thinking that, maybe he should have invited Hange to have dinner outside. Take her mind off things. Hange might need some friend’s intervention to settle the things chasing her moods away. 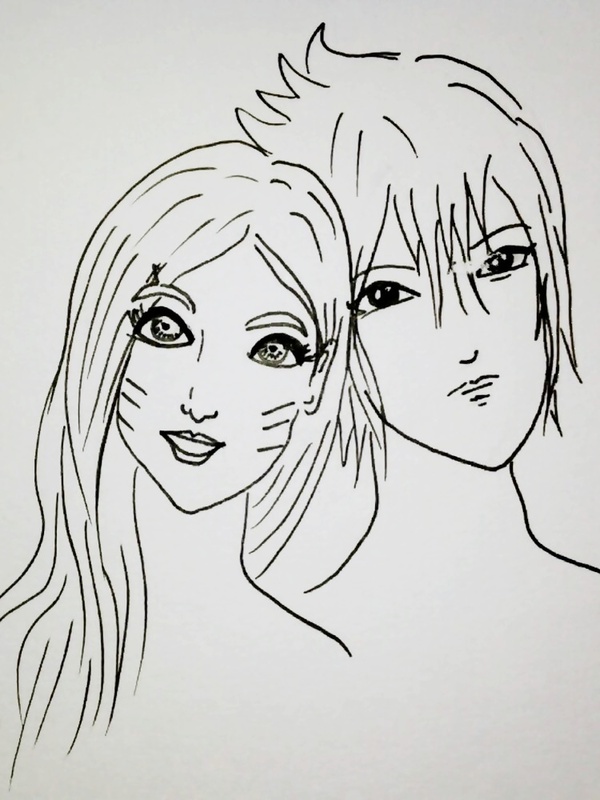 He wanted to care and do more as her friend, since they knew each other for several years now. But he thought that she needed space this time. He’ll bother her tomorrow or in a few days. Her hair will need washing and next time he’ll catch her at an earlier time than today when she wasn’t that tired looking. Levi looked back at his planner and pushed Hange back into the threshold of his mind to deal about later. Getting it on with the pre relationship mood. I know that I haven't been here much since I've been somewhere else but I'll still keep this blog going. Here's a fanart I did today. Have a nice positive 2018!